This year’s Brisbane edition of Oz Comic-Con gave more than 70 independent artisans the chance to gain high-traffic exposure to help grow their brands. 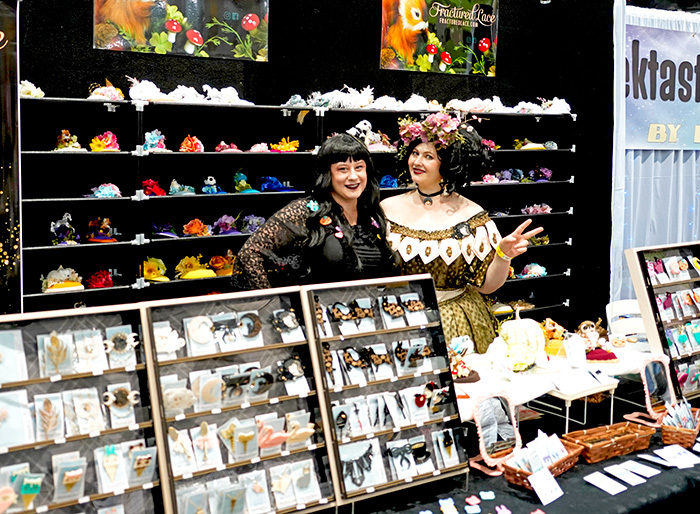 The artisans set up booths in a section of the event floor known as ‘artists’ alley’, which gained a lot of foot traffic from visitors to the two-day event at the Brisbane Convention & Exhibition Centre. These were not mere purveyors of mass-produced or licensed merchandise; all the goods in artists’ alley were crafted by hand. The goods on display ranged from independent comics, handmade jewellery and crafts, to recreations of props, fan art and board games. Oz Comic-Con sets up the alley each year in order to give independent artisans the opportunity to develop their brands. The creators are given access to booths on the main floor, located immediately in front of the main entrance, which gives all attendees entering the convention a chance to walk through the alley before making their way to the main stage. Fractured Lace owner Kat Johnston said she had been attending conventions, including Oz Comic-Con, for the past two year to sell her goods. “I have become a regular face at the conventions, I have regulars now who come to seek me out,” Ms Johnston said. “It gives me a chance to get face to face with my customers and build relationships,” she said. Ms Johnston said she thought the chance to get her creations in front of convention goers was a great opportunity to give customers more than what an online store could offer. “In any sort of in-person selling, the primary point for me isn’t necessarily just getting the greatest amount of sales, it’s relationship management and brand building,” she said. The artists’ alley also gives freelance artists a chance to show their work directly to customers, giving them an opportunity to sign work, show off new pieces and build their brand in ways that their online stores don’t allow. 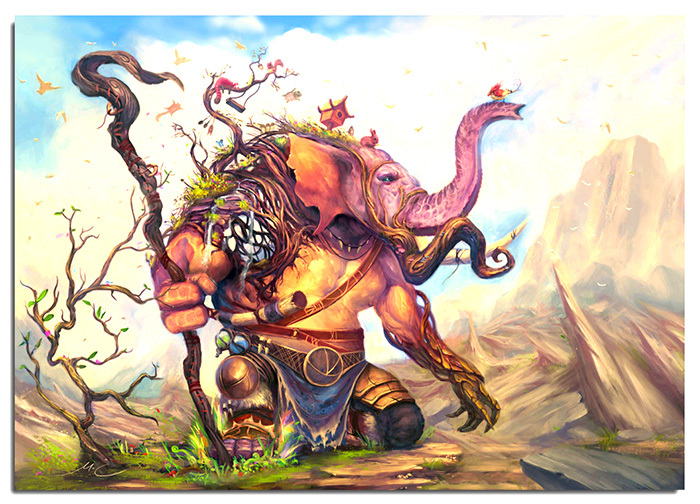 Melvin Chan is a freelance artist from Melbourne who travels the convention circuit each year, visiting both Oz Comic-Con and Supernova in order to sell his original artwork. “I’ve booked out the entire year, after Brisbane [Oz Comic-Con] this weekend I’ll be traveling down to Sydney and then be back around for Supernova,” Mr Chan said. Mr Chan said he used the conventions as a chance to get his original works in front of customers. “It’s an incredible opportunity,” he said. While Oz Comic-Con has already finished in Brisbane for the year, the Sydney installment of the event takes place from September 29 and 30 and will feature its own version of artists’ alley. Tickets can be purchased online at the Oz Comic-Con website.